This has become my life verse right now. It is so very important, we tend to worry about so many things, and forget eternity! We are at a special time in history where people are losing trust in the government, in corporations, in diet plans, and in science in general. People have looked to these as authorities on how to eat, but now that these are fading away many are scrambling for an authority to turn to, to determine how they will eat. Opinions abound in all directions on food, but Christians are starting to remember the authority that comes before all, the Word of God. 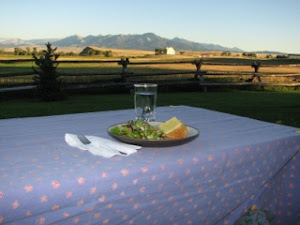 The question arises "If we should act like Christians, how then shall we eat?" 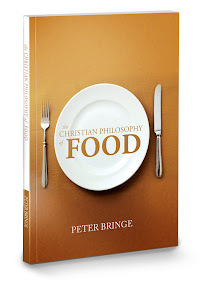 Enter the book, The Christian Philosophy of Food. "Peter has written a book that can start Christians on a journey of looking at all of life, including food, through the lens of Scripture." "Today people are facing many challenges, one of the greatest being how to feed our families food that nourishes and builds health for future generations. To help us in that task, Peter Bringe has provided an invaluable service to help think through how Christians should view food." Listen to my interview on Generations Radio: What the Bible Says About Food. a division of Good News Publishers. Used by permission. All rights reserved.